When it comes to soloing, the blues scale is one of the most popular scales used. Despite it’s name, the blues scale is not just used in blues music, but across other genres such as rock and jazz as well. David Gilmour uses it extensively in his solos. Let’s take a look at what makes up this widely used scale. The blues scale is a 6-note (hexatonic) scale based on the pentatonic scale. It’s a pentatonic scale with an added 6th note (blue note). Like the pentatonic, there are both major and minor blues scales. Also like the pentatonic, it’s an easy scale to learn. 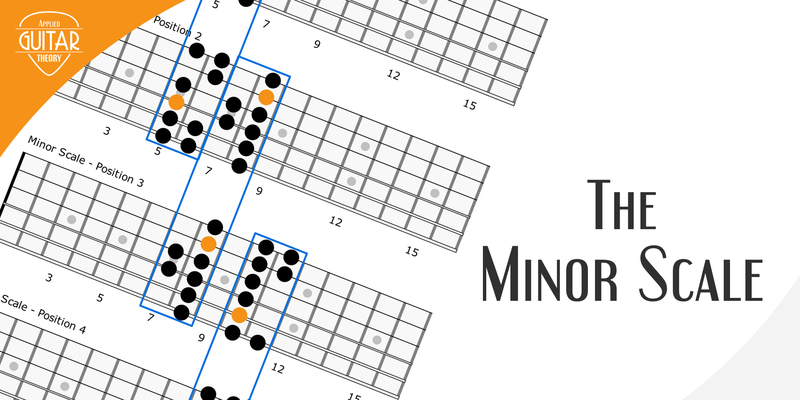 The minor blues scale is the minor pentatonic scale with an added ♭5 note (the blue note). The minor scale is versatile and can used over many different chords, making it a more popular scale choice than its major counterpart. 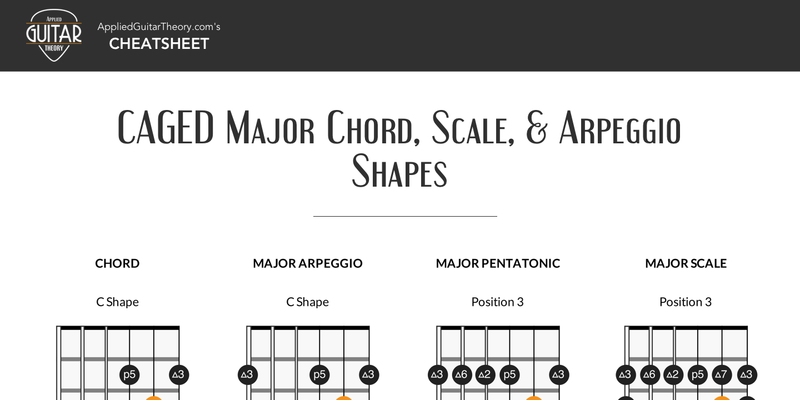 The major blues scale is the major pentatonic scale with an added ♭3 note. In both scales, the blue note (♭3 in major, ♭5 in minor) creates a dissonant, unresolved sound. For this reason, the blue note is used as a passing tone, a tone that is played between two chord tones. It’s this dissonance that makes up that familiar blues sound. Commonly, this is compounded by playing the minor blues scale over a major chord progression, particularly those using dominant 7th chords. Let’s now take a look at how this scale is applied to the guitar fretboard. If you’re already familiar with the pentatonic scale patterns, learning the blues patterns will be a breeze. 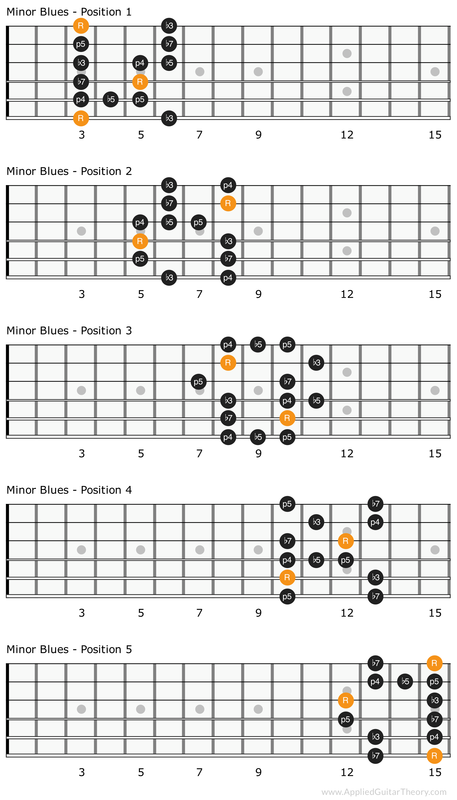 The minor blues patterns are derived from the minor pentatonic scale, but also includes a ♭5. 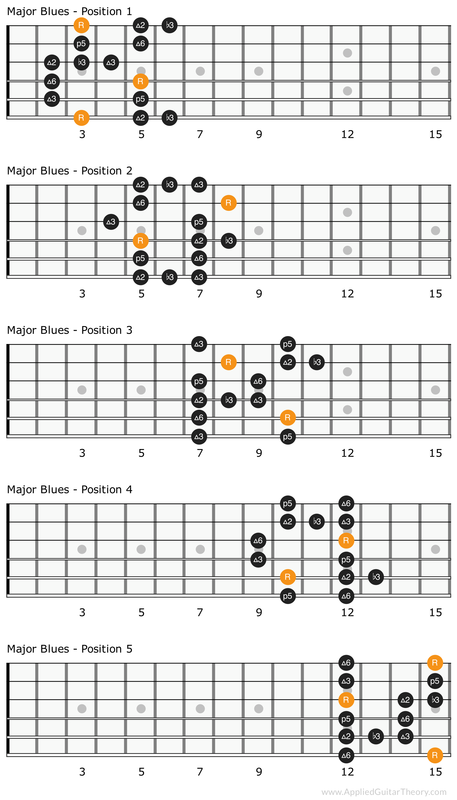 The major blues patterns are derived from the major pentatonic scale, but also includes a ♭3. In this lesson we learned about the blues scale, a popular scale used across many genres of music. 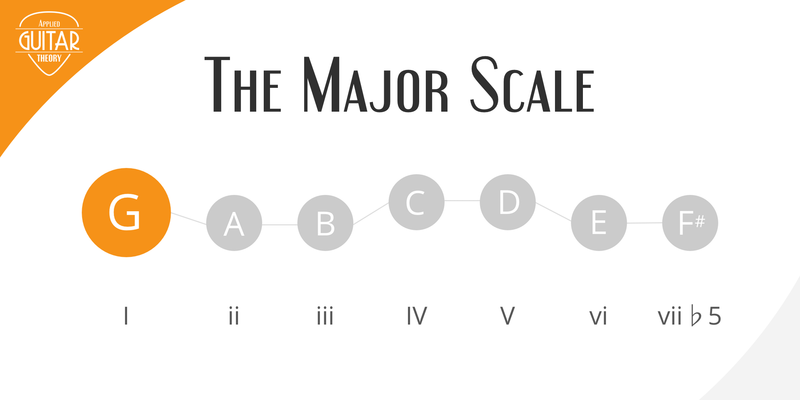 The scale is derived from the pentatonic scale with an added “blue” note, the ♭5 in case of the minor and ♭3 in the major. In future lessons we’ll take a look at specific applications of these scales over chord progressions.